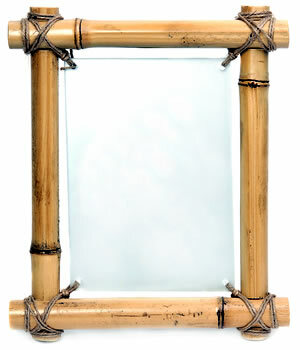 A bamboo picture frame, fashioned from good quality bamboo, possibly even organically grown, is excellent for your favourite pictures and photos, or can also be used to frame a mirror. Among the many designs for a bamboo frame, you can find frames with natural bamboo cane surrounds, or constructed from strip laminate, or designed in beautiful parquet patterns. Some unique frames are also made from bamboo root and may be processed using natural methods such as torching, and may or may not be finished with laquer. Some standard sizes will are to 4x6, 5x7, and 8x10 inches. These are sizes that will match printed photograph measurements and may be hung horizontally or vertically for landscape or portrait dimensions. Using a bamboo frame instead of a hardwood frame for your favourite photo, will give you the additional pleasure of knowing that you’ll be supporting environmentally friendly practices.